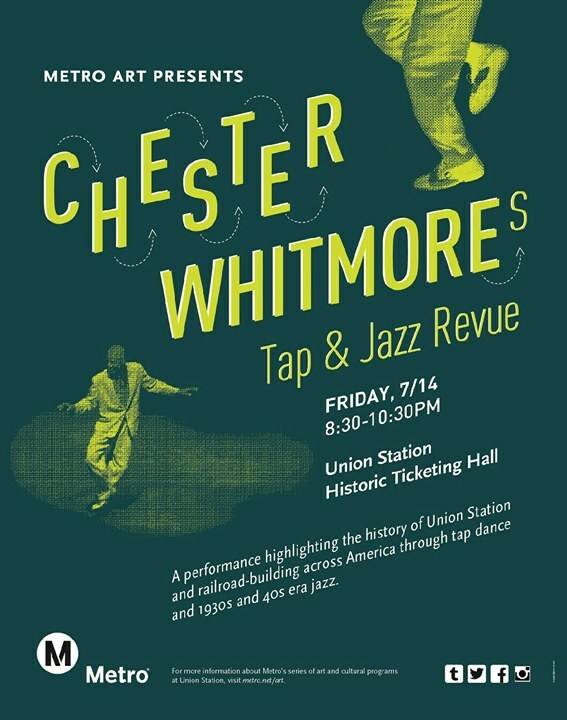 Metro Art Presents is thrilled to feature the legendary Chester Witmore as part of a special evening of tap dance and music performances. Dancing since 1974, Chester Whitmore originally studied to be a cinematographer. However, a chance encounter with famed tap dancer Fayard Nicholas (of the Nicholas Brothers) changed his life. Eventually, Mr. Nicholas became one of his teachers and mentors. Chester also studied with celebrated performers John Bubbles, Leonard Reed, Clarence Landry and others. This event is free and open to the public. No tickets or reservations required.